Are you considering adding or replacing a garage on your property? Have you been spending a lot of time researching the in’s and out’s of designing and constructing the garage of your dreams? If you said yes to these two questions, I have one more for you: have you considered the type of garage you’re going to choose? Chances are the first thing you thought about when you decided to add or replace your garage building was thought of a traditional wooden building. This makes sense! But have you heard about steel garage buildings? Steel garage buildings have become a popular option when it comes to choosing the type of garage you want to build. They offer quite a few advantages that traditional wooden buildings can’t or don’t offer, and in this article, we’re going to discuss some of those advantages that will help you make the best decision for you. Steel garage kit suppliers tend to offer prefabricated buildings that will cost you less than building an entire garage from scratch as you would with a traditional wooden garage building. Plus, they can be easily constructed by you, someone you know, or professionals depending on how much you want to do or how much you know how to do and how much money you want to end up spending. Overall, steel garage buildings are the more economical option when designing and constructing your dream garage. If you don’t believe us, just do some research about the costs associated with constructing a traditional wood garage versus a steel garage building – you’ll be shocked by the results! 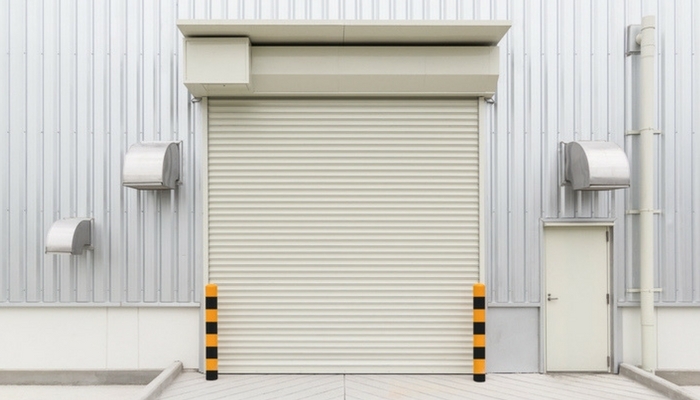 While traditional wooden garages might seem like the better choice in terms of the cost up front, you’ll be throwing away thousands of dollars each year on upkeep. Whereas with steel garage buildings you might end up spending a few dollars here and there throughout the year to update or change some part of your garage. You should do some research about the overall costs that will go into both types of garage buildings and see which one will allow you to spend the least amount of money a few years out. Unlike traditional wooden garages that take months to construct, steel garage buildings take minimal time. Prefabricated steel garages can be constructed and ready to go in a matter of days. This means that you’ll be able to start using your building investment sooner rather than later. Plus, it means that if you’re paying to have the building constructed by professionals, you’re spending a lot less money than you would if you were having a wooden garage built that took months. We all like to get the best bang for our buck, so with this in mind; you should check out metal garage kit prices. Metal garages tend to be much less than traditional wooden garages in terms of overall price. Why is this? Because wooden garages cost more to build and maintain over the years – especially if the wood needs to be replaced because of any potential rotting. Plus, for those of you who are into do-it-yourself projects, you can purchase steel garage kits and construct them yourselves to save even more money! Another thing to keep in mind is that while traditional wooden garage buildings depreciate or stay the same in value over time, steel buildings tend to appreciate in value. This is probably because wood tends to deteriorate in value, safety, and appearance as the years of weather wears it down. By the time that you ever decide to sell you land, the garage requires repairs and money to be worth anything of value. However, with steel, you don’t need to worry about that. Steel is sturdy and can hold up to the weather for years without needing too much attention or repairs. Steel is a sturdy metal, so when it’s used to build a garage building, you know that it’s designed to last. This is because steel garages are manufactured to be weather resistant, and they can come in different gauges to offer strength to protect against any elements that you might experience depending on where you’re located. Think about this, wooden buildings tend to rot, warp, mold, and crack over the years after they have been subjected to different elements. Plus, wooden garages are also prone to termites and other disgusting insect infestations. This means that you’ll end up spending a lot of money to repair any of those damaged areas on your garage. But with a steel garage building, you won’t have to worry about any of that because the steel is weather resistant. Additionally, steel garages are fire retardant, which is something that can’t be said about wooden garages. All around steel is a much easier material to take care of than wood is. While wood can usually be cleaned using a power washer, it doesn’t dry quickly which makes it so that you’re at a standstill after washing the exterior of the building. This is especially annoying if you’re working on cleaning and painting the outside of the building. 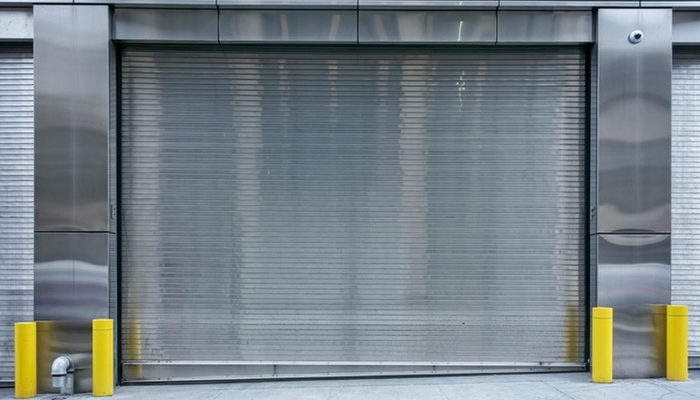 With steel buildings, you can power wash the exterior of the building, and it will dry in a short amount of time. Plus, with wooden buildings, you’ll want to paint the interior of the building with a sealant or regular paint to prevent damage from mildew or other deterioration. Then you’ll need to repaint the exterior or wooden garages after a few years – which isn’t necessarily true with steel garages. This is because usually when you design and build your steel garage, you can usually pick out and apply the color you want the building to be during the process and will be able to withstand the elements. Steel garages are designed to be easy and quick to install anywhere on your property that has a level surface, and they can be easily attached to any of your other existing structures. Another huge plus is that metal garage plans come in a variety of lengths and widths, which makes it easier and less expensive to add onto and customize the steel building at a later date. This is very different to wooden garages because wood garages aren’t easy to add onto and they aren’t easy to change up at a later date if you want to change the way something is designed. These are just a few ideas, but you could do just about anything with a steel garage as long as everything is safe and cozy enough for you to enjoy yourself! But the possibilities are endless as long as you can think it up and execute your plans. Finally, steel garages are much easier to relocate to a new location on your property if you need it to be moved – which isn’t entirely possible with a wooden garage. We’ve touched on this a little bit in some of the other advantages that are offered by steel garage buildings, but we didn’t go in depth on the subject. Steel buildings require fewer repairs when compared with traditional structures. This is because of the overall durability of steel buildings – which we will touch on a bit more in the next advantage. 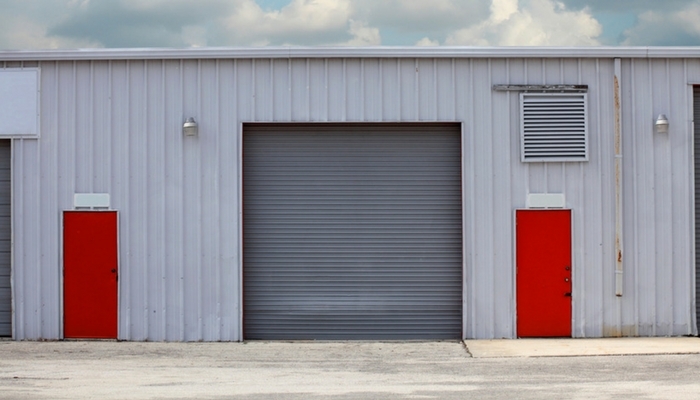 When compared to traditional garage buildings, steel buildings last longer, require fewer repairs, and less money spent fixing the buildings up to be safe, secure, and strong. ​We’ve touched a bit about steel garage buildings be resistant to fire, but did you know that it’s resistant to more than just that? Steel is resistant to insect infestations, such as termites, moisture and water resistant (as long as the right coatings and paint are there), and overall weather resistant. All of this means that in comparison to traditional wooden structures, your steel garage will stand longer, look better, and be stronger than a wooden garage would be in 10 years’ time. Most people don’t know that steel building designs have been changing as new modern developments are happening. Instead of the normal rigid structures that we’ve seen for years, now we’re beginning to see more and more steel buildings that feature design experimentation and creativity in the overall design. Furthermore, brick facades, vinyl siding, wood veneers, and other styles can be added to the exterior of your steel building to give it a look that you want. This means that you don’t have to worry about the final product looking like a steel building if that’s what you’re worried about. Instead, you’ll have a beautiful building that looks like a typical garage. While this might seem strange for a garage, you might be interested in seeing the amazing things that can come out of steel constructed buildings. You’ll even notice that with a steel garage building you’ll have more room inside the structure, this is because steel buildings don’t require large support columns in order to be stable. This makes them more appealing to some buyers and gives more room overall inside the garage itself – which makes it so that you have more room to work with when figuring out how to use your building! Steel garage buildings are designed to be incredibly sustainable and eco-friendly. Why? Because they consume less energy than a traditional building, they are designed to be durable, and they are made out of recycled material because steel is made from old steel. All of which makes for a sustainable and economically friendly building that you can be proud of. Consider This: To build a building that has an average of 2,000 square foot uses the equivalent amount of steel as six scrapped cars, all of which has been recycled and melted down to create new steel. Now, compare that to the fact that home of about the same size consumes about 50 trees, which kills the tree and is only replaceable with a baby tree that takes years to grow to the same size it was when it was cut down. Which would you choose if you wanted to become eco-friendlier? Who doesn’t want to be proud of something that is promoting a greener environment and saving you money in the long run? When it comes down to designing and building a brand-new garage building, you should remember all of the advantages of a steel garage that we have mentioned in this article. Steel garage kits offer advantages in value, safety, convenience, versatility, and more that cannot be matched with wooden garage buildings. All of these advantages mean that you’re investing in something that is only going to give back to you and make it so that you spend less money as the years go on. Plus, you’re getting a beautiful garage building that you designed in a matter of weeks! If you’re looking for a garage that will protect your assets and allows you to feel sound in your investment, you should really consider choosing a steel garage building. Overall, you’ll be receiving a building that you are proud to own. With this in mind, take some time and research what kind of steel garage would work best with you and your needs, then contact your local steel garage kits supplier and see what they can do for you today!